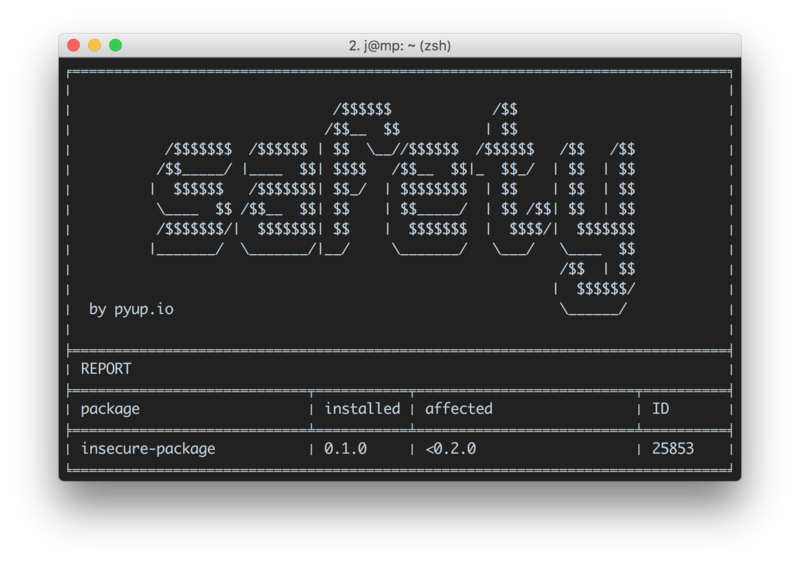 Safety is available as an online service called Safety CI and an open source command line tool. Use it to check your dependencies for known security vulnerabilities. Safety CI is a part of pyup.io. Check out the installation documentation for the online service. If you just want to run Safety CI without getting dependency updates, you might also want to take a look at usage examples. Don't worry, it's just a test package. Safety is also able to read from stdin with the --stdin flag set. For more examples, take a look at the options section. Safety works great in your CI pipeline. It returns a non-zero exit status if it finds a vulnerability. Safety is free and open source (MIT Licensed). 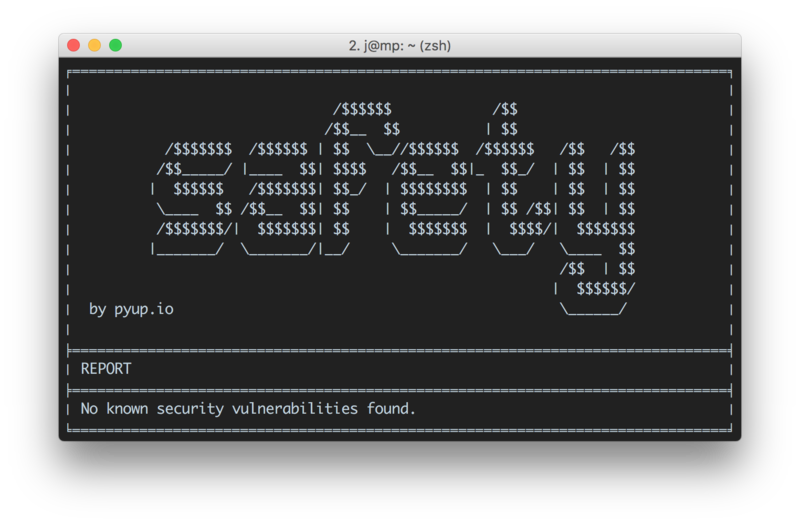 The underlying open vulnerability database is updated once per month. To get access to all vulnerabilities as soon as they are added, you need an API key that comes with a paid pyup.io account. This document is still a work in progress. Have additional questions? Contact support@pyup.io.